These aren't banknotes. But they look like notes, so we collect them! 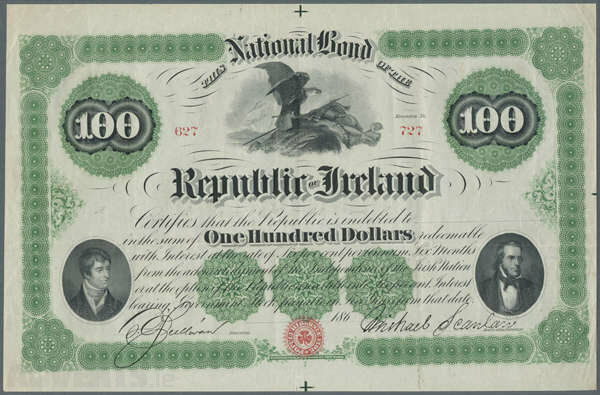 A nice piece of Irish-American history. Here's one I haven't seen in a loooooong time! they turn up occasionally, usually vastly overpriced, and don't sell thus. 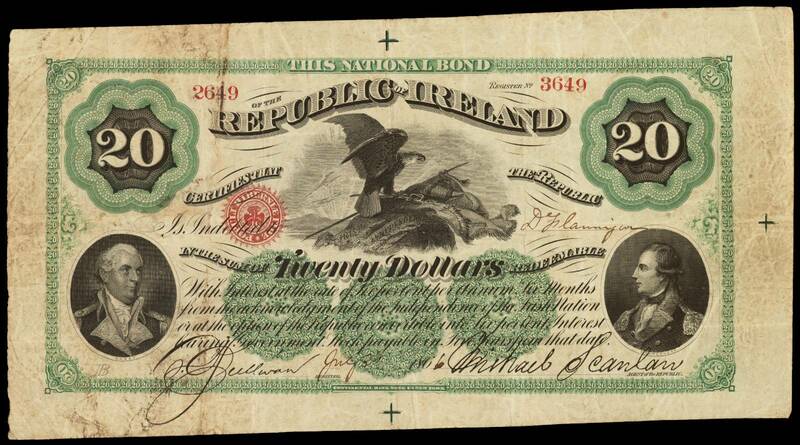 There aren't any web sources of information on the Fenian Bonds that I know of. I plan to do a thread on them when I get the chance. Tthey are pretty, but not my thing. 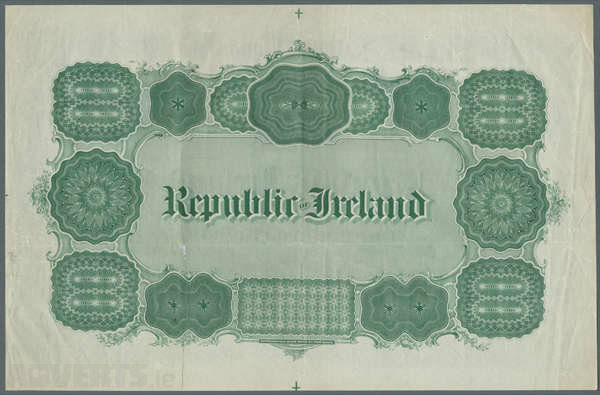 I prefer the Irish bank notes.